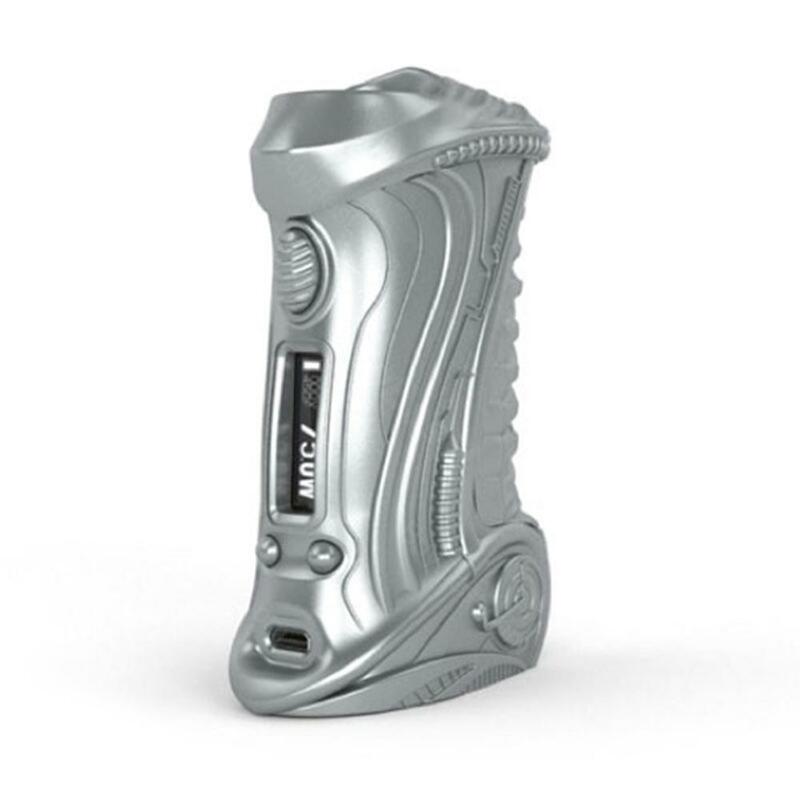 ETALIENS E.T-X3 is a powerful temperature control box mod with stylish alien-like appearance. Powered by a single 26650 battery, the E.T-X3 mod is capable of running up to 100W. It is also compatible with 18650 battery with included battery sleeve. Constructed by high quality aviation aluminum and copper, the ETALIENS E.T-X3 offers a comfortable hand feel. ETALIENS E.T-X3 is an eye-catching box mod with alien-like appearance. It adopts advanced US Ai chip set that supports accurate variable wattage and temperature control of Ni200, titanium and stainless steel. The E.T-X3 mod can use a single 26650 battery (or 18650 battery with battery sleeve) to reach up to 100W output. Ergonomic design, 0.91-inch OLED screen and high quality aviation aluminum & copper construction make the ETALIENS E.T-X3 TC box mod a good option for vapers. It’s compatible with most tanks on the market. • It doesn't come with 18650 cells. It supports 18650/26650 cells. I don't have to buy a 26650 cell. Cool appearance of Alien, great hand feel and simple menu. I use it every day. It has all features I need for vaping. An eye-catching box mod with high quality cover. 100W can cover my most vaping watts. I mainly vape at 70W.